CHICAGO, Nov. 15, 2010 – A new anti-clotting drug is as effective as the standard medication in preventing stroke and blood clots, and does not increase bleeding risk among patients with the most common form of irregular heartbeat, atrial fibrillation, according to late-breaking randomized, double-blind clinical trial results presented at the American Heart Association’s Scientific Sessions 2010. In Stroke Prevention Using the Oral Direct Factor Xa Inhibitor Rivaroxaban Compared With Warfarin in Patients with Nonvalvular Atrial Fibrillation (ROCKET AF), investigators compared the new drug rivaroxaban with the traditional medicine warfarin in 14,264 patients with atrial fibrillation that was not related to heart valve disease. The median time that patients spent in the therapeutic range with warfarin during the course of the trial was 57.8 percent. Patients spent on average 11.9 percent of time above the therapeutic range, while they were below this range 19.7 percent of the time. In the primary analysis, measuring what happened to research participants while they were actually taking the study drug, those taking rivaroxaban compared with warfarin had fewer strokes and blood clots (emboli) to other parts of the body. With rivaroxaban there were 1.71 events per 100 patient-years (188 patients) and with warfarin 2.16 (241patients), p<0.001 for non-inferiority, p=0.018 for superiority. Major bleeding complications were comparable in both treatment groups, occurring at a rate of 3.60 per 100 patient-years (395 patients) with rivaroxaban and 3.45 per 100 patient-years (386 patients) with warfarin (p=0.576). The full intention-to-treat analysis, which counts all events from the time of randomization until study completion, regardless of whether participants were taking medication, found fewer strokes and blood clots occurred in participants assigned to rivaroxaban (269 patients) versus warfarin (306 patients). However, this difference fell short of statistical significance for declaring rivaroxaban superior to warfarin (p=0.177). Bleeding inside the skull cavity and/or brain tissue occurred in 55 patients on rivaroxaban and 84 on warfarin (p=0.019). Rivaroxaban is one of several new drugs now in clinical trials that seek to replace warfarin, which for 50-plus years has been the primary anti-clotting medication on the market. Researchers have long sought a substitute for warfarin which requires frequent monitoring because it can interact with other medications and even certain foods to cause potentially excessive bleeding or lack of adequate blood thinning. This study, which comprised one of the largest patient populations of its kind, included 14,264 patients with irregular heartbeat (atrial fibrillation) unrelated to heart valve dysfunction at more than 1,100 hospitals in 45 countries. The median age was 73 and 43.5 percent were 75 years or older. Forty percent of participants were women and 83 percent were white. More than half (55 percent) had suffered a prior stroke or a brief period of decreased blood flow to the brain (transient ischemic attack, or TIA). Researchers randomized participants to receive either 20 milligrams of rivaroxaban daily or an appropriately adjusted dose of warfarin. The study was conducted from December 2006 to May 2010, and average treatment lasted 19 months. Both rivaroxaban and warfarin prevent dangerous blood clots by blocking the action of vitamin-K-dependent proteins called clotting factors; rivaroxaban targets a specific clotting factor called Xa (i.e., 10a). 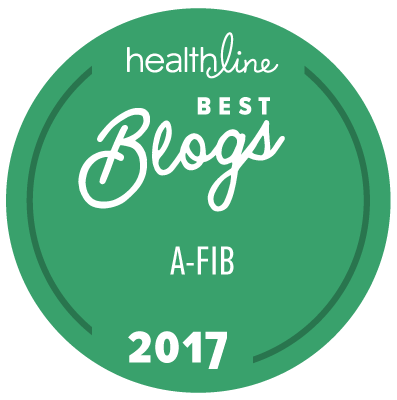 While some blood clotting is necessary to prevent bleeding complications, too much can cause formation of life-threatening clots in patients with atrial fibrillation. More than 2.5 million Americans live with irregular heartbeat, which increases the risk of stroke by four to five times and causes 15-20 percent of all blood-clot-related strokes. The disorder causes more than 11,000 deaths in the U.S. annually. The trial was coordinated by the Duke Clinical Research Institute and led by an international executive committee. Additional committee members are Guenter Breithardt, M.D. ; Jonathan Halperin, M.D. ; Graeme Hankey, M.D. ; Kenneth Mahaffey, M.D. ; Manesh Patel, M.D. ; Daniel Singer, M.D. ; Richard Becker, M.D. ; Scott Berkowitz, M.D. ; Werner Hacke, M.D. ; Christopher Nessel, M.D. ; and John Paolini, M.D. Investigator disclosures are on the abstract. Johnson & Johnson and Bayer HealthCare funded the study.